Once lost, are we ever the same again…? A family is torn apart when a little girl is kidnapped while her family is on vacation. The press immediately turn on the family, blaming the parents for the young girl’s disappearance. Time passes and everyone begins to lose hope. But when a girl is found wandering the streets of Portugal alone, she is returned to her family and the case closed. Yet something is not right. And as little Rosemary Cathcart grows up, and her parent’s divorce, that feeling never really leaves her. Years later, after finding her boyfriend has been cheating on her, Rosemary flees to her brother’s home, where she quickly wears out her welcome. When her mother arrives and asks her to move in with her and her new husband, Rosemary decides to go to Jersey and work at her father’s hotel. But when she arrives she learns the hotel is close to bankruptcy and her father on his death bed with cancer. Before he dies, he has secrets to tell that will change her world, and the world of everyone around her, forever. And it would seem that Rosemary Cathcart, once a Little Girl Lost, is still yet to be found…. 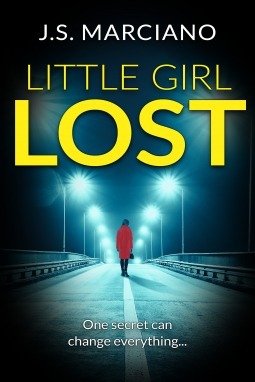 Full of dark secrets and mysterious twists and turns, Little Girl Lost is a must read thriller that will have you on the edge of your seat. I was excited to read this book after I read the blurb. The prologue was really good and I thought I was going to enjoy it.....Unfortunately, it went downhill for me. It was just too unbelievable. I had no idea how one heroine can have so many things going wrong for her. Instead of fighting for herself and her future, she was always looking for someone to save her. Her brother, her father, her new love interest. Her decisions were all made in a rush and with no real purpose. She was too quick to fall in love. She barely met Ari (the cab driver who helps her out after she finds her boyfriend in bed with someone else and he throws her out of the apartment) and she was already falling for him without even going on a true date! I would have rather seen her grow as a character, become independent, self-sufficient. She needed to learn how to survive on her own. Reflect on what went wrong with her prior relationships and learn from it, instead of jumping right into a new one. But even that, I could have let slide but the whole drama with her parents was way over the top. I'm sad this book didn't work for me.